London (AFP) - The fallout and rumours after British cycling great Bradley Wiggins medical records were revealed by the Russia-based Fancy Bears computer hacking group came close to killing his wife, he told The Guardian. Wiggins says he would have preferred to be tried for murder than the trial by media he underwent when the details hacked by Fancy Bears revealed he availed himself of Therapeutic Use Exemptions (TUEs). As a result he was allowed to use triamcinolone, an otherwise banned drug, ahead of his major races in 2011, 2012 and 2013, including the 2012 Tour de France which he won in what was a stellar year for him as he also won the Olympic time-trial gold in London. TUEs allow athletes to use otherwise banned drugs to treat recognised medical conditions. The publication of Wiggins's TUE history was followed by a 14-month inquiry by United Kingdom Anti-Doping (UKAD) into whether a package delivered to Wiggins's Team Sky at the 2011 Criterium du Dauphine -- a race he won -- contained the same drug. UKAD, however, closed the case last year without coming to a conclusion because of missing Sky medical records. 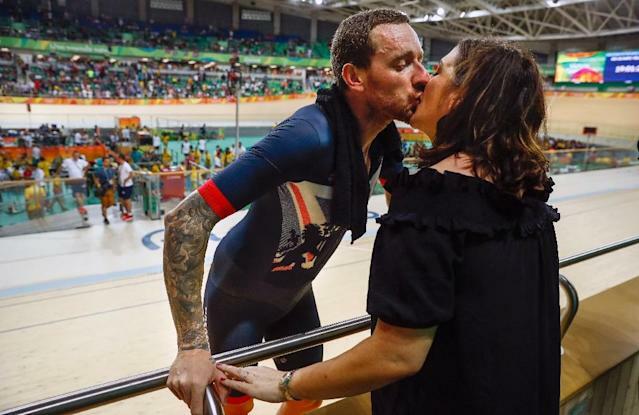 All this Wiggins says took a huge toll on his family and especially his wife Cath. "My kids have suffered," Wiggins said in an interview published on Monday. "We had to move schools and then all the stuff broke with Lance in 2013 (when Armstrong finally admitted to doping) and the kids started getting it. "People have free rein to put their own facts in place. "You watch your family suffer, and it's terrible. "It nearly killed my wife (Cath). "She ended up in rehab over it. I'm at home having to deal with it. "Because she's bi-polar she has this fear of shame, (of) people watching her all the time." Wiggins, who also won four Olympic golds medals in track cycling, said he felt he would have enjoyed more rights if he had committed murder. "What I should have done is murder someone because then I'd have had proper rights," he said. "There'd have been no articles, and I'd have had a fair trial. "I'd have been cleared or found guilty. Not somewhere in the middle where you can't find any evidence of wrongdoing." Wiggins drew fire last Friday from world cycling chief David Lappartient for including Armstrong in his latest book "Icons".